We’re committed to providing anyone who picks up a ball with a simple, effective solution to learning how to throw. The most common flaws of throwing are often brought out in the beginning stages of learning to throw, and bad habits are formed as a result. We strive to give everyone the means to throwing with the most natural, effective, and safest arm motion, dramatically increasing velocity, improving accuracy, and reducing injury. ThrowBetter is driven to help everyone maximize the full potential of their arm, regardless of age, gender, or skill level. Throwbetter is a brand synonymous with quality, affordability, innovation. 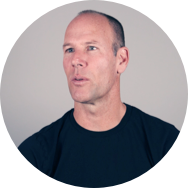 Our goal is to become known as the one throwing tool that can make the biggest difference in the motivation, confidence, and empowerment of anyone who wants to learn how to throw. 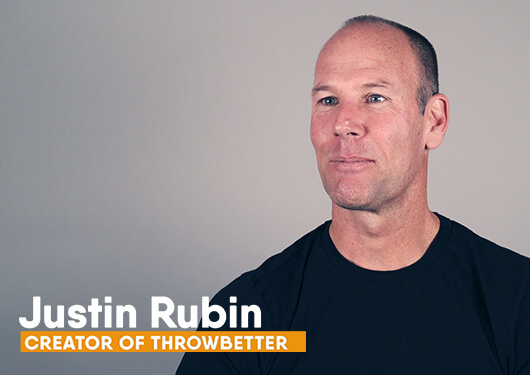 ThrowBetter will change the game one arm at a time, making it possible for people to throw better in a matter of minutes. Our genuine excitement about the potential impact of this simple, effective product has us buzzing. Simply put, we're excited about helping people throw baseballs, softballs, footballs, and truly anything—better. "His throwing has improved greatly"
Our son developed a bad habit of throwing while playing baseball. After a couple of times using this product it taught him to correct the problem and his throwing has improved greatly. It works great. I highly recommend this product to any parent whose kids are struggling to throw. "This thing is like magic"
My son doesn’t want to take it off. He throws like baseball player now. It’s been 2 months and the way he throws is totally different. It made him change the way he throws, but in a good way. Easy to put on, easy to adjust. Stop Pushing. Quit Aiming. Start Throwing.